Gracefully patrolling center field for the Brooklyn and Los Angeles Dodgers, Duke Snider became one of baseball’s brightest players and most familiar historic names. His birth name was Edwin Donald Snider, but everybody knew him as the “Duke of Flatbush.” His wonderful, sweet left-handed swing made him one of the game’s most feared hitters. 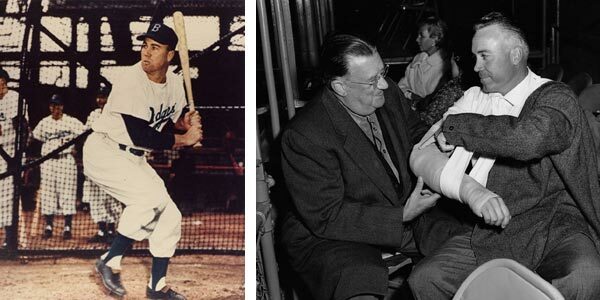 Snider helped guide the Dodgers to their first World Championship in 1955. A power hitter of the first degree, Snider holds the Brooklyn single-season home run mark of 43 in 1956, while he belted 40 or more homers five consecutive times. He hit the last home run in Ebbets Field history on September 22, 1957. In 1952 and 1955, Snider became the only player to belt four home runs in each of two World Series. Besides his batting prowess, the five-tool star was also was blessed with a strong throwing arm and good running ability. Originally from Compton, CA, he played in four different Dodger home ballparks: Ebbets Field in Brooklyn (1947-57); Jersey City’s Roosevelt Stadium (1956-57); the Los Angeles Memorial Coliseum (1958-61); and Dodger Stadium (1962). 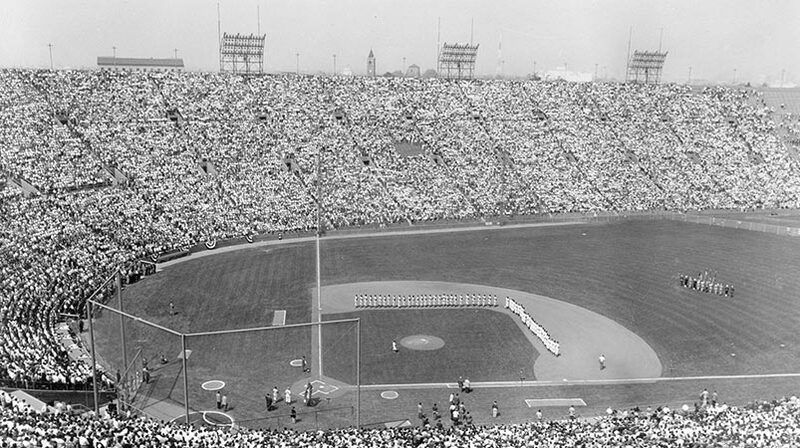 The 1962 team captain, Snider collected the first Dodger hit at Dodger Stadium. The seven-time N.L. All-Star ranks atop the all-time Dodger list for home runs (389), extra-base hits (814) and RBI (1,271). During the era of the 1950s, Snider led all major league players with 326 home runs and 1,031 RBI, while playing on two World Series Championship teams (1955 and 1959). In six World Series, Snider hit 11 home runs and drove in 26 runs to top all National League players in those categories. Snider's wife Bev has developed a web page featuring photos and information about Duke's career called "Duke and Bev's Web Page Photo Album." The address to access the site is http://snideralbum.tripod.com.